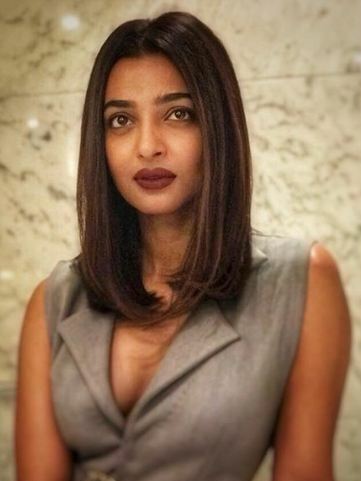 Radhika Apte is leaving no stone unturned as she is seen donning an all-new look for the promotions of her upcoming next. The doe-eyed actress looked stunning in a grey co-coloured outfit. Donning a new haircut and hair colour the actress summed up her look with a dark wine shade lipstick. Radhika Apte was spotted at a MAMI screening of Sacred Games last night in Delhi along with her co-stars. What is amazing is that, in addition to these, the actress also has her big screen outings lined up for this year post-Padman. There is Bazaar with Saif Ali Khan and Andhadhun with Ayushmann Khurrana. Disha Patani express love for acting!